Winter is the best time to enjoy classic national park hikes without the masses. If you’ve ever waited an hour in a single file line to summit Old Rag, you can blame Andrew Jackson and Abraham Lincoln. Jackson set aside the land around some thermal springs in Arkansas to protect their quality in 1832. Believe it or not, this was the first time any government in the world ever tried to formally protect a piece of land with legislation. Then, in 1864, Lincoln gave California the Yosemite Valley on the premise that it remained open to the public for recreation. Less than 150 years later, we’ve got a comprehensive national park system that’s been dubbed “America’s best idea” with 58 full-blown units. Many of those parks see millions of visitors every year simply because they’re designated as national parks, which represent the greatest landscapes America has to offer. In 2009, an estimated 285 million people visited units of the National Park Service, just two million short of the all time record set in 1987. Those crowds are exactly why some hikers avoid national parks altogether. But what if you want to see those iconic destinations that make our national parks so splendid, but don’t want to share the view with an entire bus of retirees from Florida? 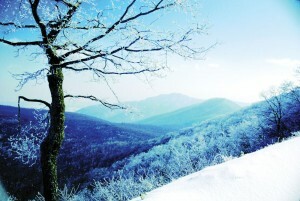 The solution: Hike our national parks in the winter when the crowds are minimal and the views are the most stunning. Here’s your guide to the best features inside Shenandoah National Park, sans the crowds. 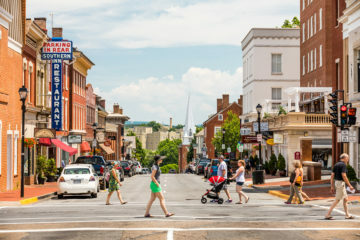 The park consists of 300 square miles of mountains rising dramatically from the Virginia Piedmont and Shenandoah Valley. More than 500 miles of trail bisect the mountains, crossing dramatic waterfalls, 4,000-foot peaks, and rock outcroppings that are a billion years old. Skyline Drive runs through the heart of the park, providing easy trail access. 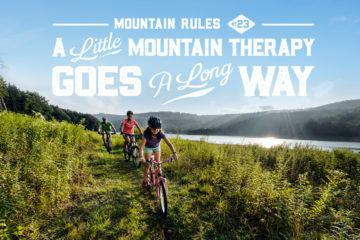 And it’s paralleled by the world’s most famous footpath, the Appalachian Trail. Oh, and it sits in the backyard of Richmond and Washington, D.C. No wonder the SNP welcomed 1.1 million visitors in 2009. Don’t let Old Rag’s modest elevation fool you—the 3,268-foot mountain is about as close as you can get to true mountaineering in the Southeast. To reach the summit of this mountain, you’re in for a three-mile one-way hike with over 2,000 feet of elevation gain and 1.5 miles of technical rock scrambling. We’re talking hand over hand, full body scrambling over boulders, through scree, and between tight notches that’ll make you sign up for Jenny Craig. 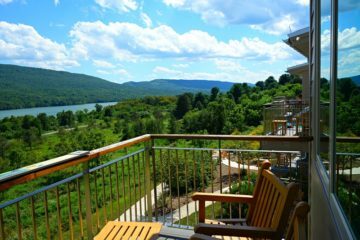 Make it to the peak of this exposed granite face, and you’ll be rewarded with a 360-degree view that includes most of Shenandoah National Park. The views are commanding, but this is one mountain where the journey is as rewarding as the destination. Old Rag is the most popular spot inside Shenandoah National Park, thanks to its unique trail features, awe-inspiring views, and proximity to Washington D.C. (just a two-hour drive). 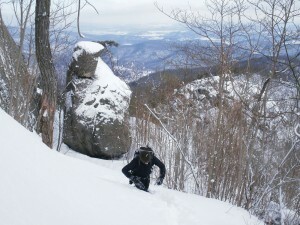 During peak season, Old Rag is hiked by 2,000 people a day. Because of the slow-going technical rock scramble, you can expect single file lines toward the top of the mountain with 90-minute wait times for some of the tighter boulder squeezes. In winter, the crowds dissipate, so waiting isn’t an issue, but the scramble becomes treacherous as ice and snow gather on the boulders. Wear crampons and use extreme caution. Hike Old Rag as a loop. From the parking lot on Route 600, take Ridge Trail to the summit (follow the blue blazes during the scramble), then Saddle Trail and Weakly Hollow Fire Road back down to your car. Along the way down the mountain, you’ll pass two day-use shelters and the Post Office Junction, the site of the old post office for Old Rag village, which in its heyday, had a collection of homes, a school, and a church. Hikers love Little Stony Man Cliffs for two reasons: it’s a short, easy trek to reach the outcropping, and the views are outstanding. The cliffs are also a short side-trip from the Appalachian Trail, which adds to the appeal during peak season. Start at the Little Stony Man Cliffs parking lot at Milepost 39.1 on Skyline Drive. It’s just a half-mile hike to the outcropping, which is a popular rock climbing destination in addition to being one of the park’s most beloved day hikes. You’ll pick up some elevation on the way to the cliffs (250 feet), but you’ll forget about the leg burning when you take in the view. You can see Skyline Drive carving through the mountains below, as well as Mary’s Rock, the Pinnacle, and Stony Man himself–a rocky peak standing at 4,011 feet that, if you stare at long enough, will turn into the profile of a man’s face. From Little Stony Man Cliffs, you can keep hiking to bag Stony Man itself (the second highest mountain inside Shenandoah National Park), but most agree that the view from Little Stony Man tops the view from his big brother. You want impressive? 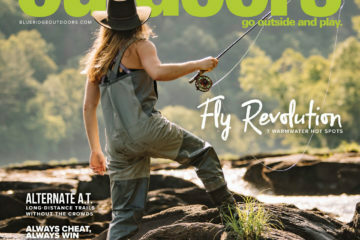 Just look at the Smokies’ stats: 800 square miles of mountains and valleys, 17,000 documented species and counting (scientists believe 30,000 more species may call the Smokies home), a series of 6,000-foot peaks, one of the largest blocks of old growth forest, and the largest contiguous Wilderness east of the Mississippi. 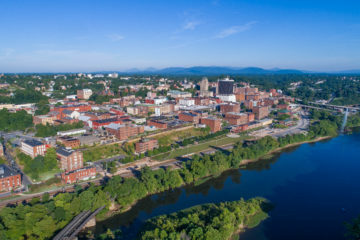 More than 800 miles of hiking trails traverse the 500,000-acre park, including what many say is the best week-long stretch of the Appalachian Trail. And in 2009, the park saw a whopping 9.5 million visitors. 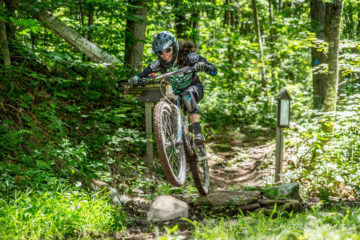 With 900 miles of trail within the Smokies’ borders, you’d think people could spread out a little more, but the park tends to get the most visitors in a few key spots. 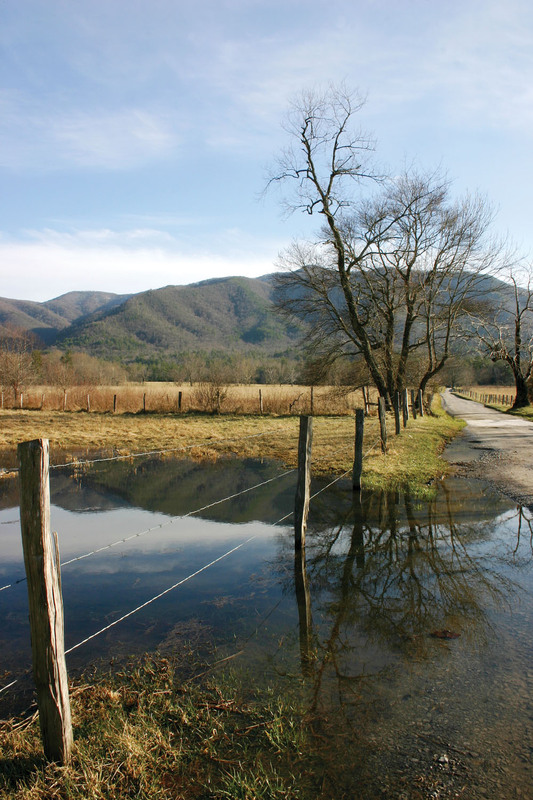 The hottest of all is Cades Cove, which sees an estimated 1.8 million visitors every year. The Cove is a massive, 20-square-mile valley surrounded by 5,000-foot peaks. An 11-mile road forms a loop through the valley, which is filled with grassy meadows, creeks, springs, caves, and forest. It’s a recipe that attracted Native Americans and later European settlers, and even later, tourists and hikers. A constant through the ages has been abundant wildlife: white tail deer, bear, wild turkey, even bobcat are known to frequent the lush valley. A number of trails begin in the valley, but one of the most popular is Abrams Falls Trail. The park estimates during peak season, 1,000 people hike this trail every weekend day. Find the trailhead off a gravel road at stop #10 along Cades Cove Loop Road. Most of the hike parallels Abrams Creek, named after a Cherokee Indian Chief, and is relatively flat, a factor that adds to its popularity during the summer. The destination for most hikers tackling this trail is Abrams Falls, a spectacular 20-foot waterfall. The high-volume waterfall plummets into a stone gorge, emptying into a 100-foot wide pool that attracts swimmers in the summer. It’s a 2.5-mile one-way trek to the falls. The trail continues giving you the option to climb some of the peaks surrounding Cades Cove and even hook up with the A.T., but most hikers treat this as a five-mile out and back. 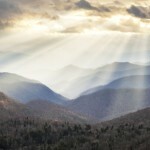 If you’re looking for a climb to get the complete valley-to-summit experience in Cades Cove, tackle Gregory Bald. 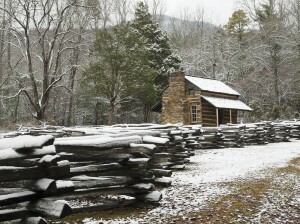 The trailhead begins on Forge Creek Road off of Cades Cove Loop. Plan all day, as this is an 11-mile out and back with 3,000-feet of elevation gain. The reward? 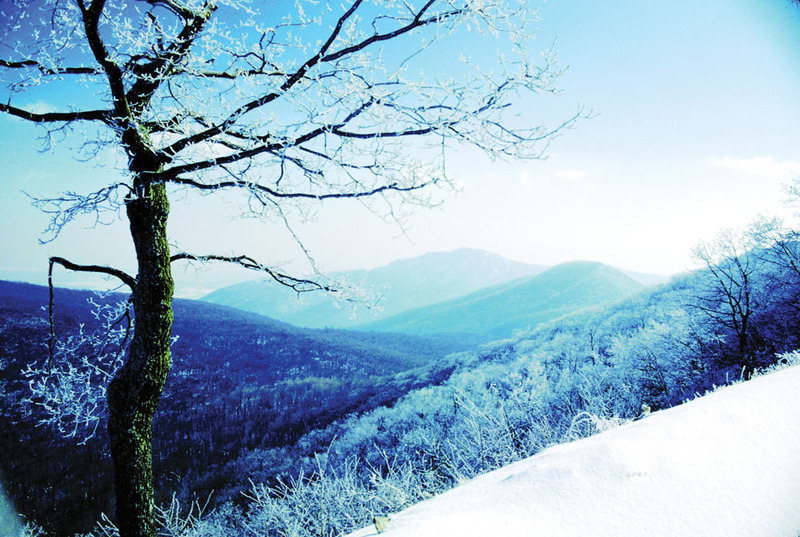 Gregory Bald has a 100-foot grassy peak with some of the prettiest views in the Smokies. Even though it’s a stout hike, you’re likely to share that view with two-dozen other gapers when the azaleas are in bloom in June. The winter, however, is your best chance to enjoy this peak in solitude, and sometimes, in the snow. 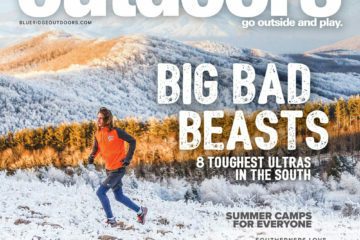 This 11-mile out and back has earned the reputation of being the most popular stretch of the Appalachian Trail in the South. The popularity is due to a combination of access and beauty. Newfound Road cuts through the heart of the GSMNP, funneling most motorists to Newfound Gap, a major parking area and trailhead that sits at 5,000 feet and offers massive views all of its own. The A.T. also crosses the gap, beckoning visitors to stretch their legs on the classic footpath. The 5.5-mile hike to Charlies’ Bunion is relatively flat as it travels through a fraser fir forest, and the views begin immediately. 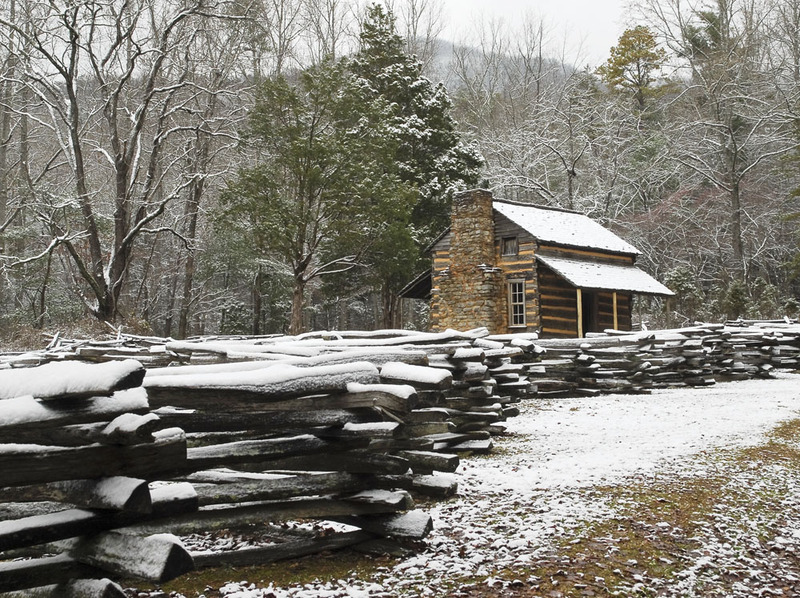 Along the way to the Bunion, you’ll pass an A.T. shelter, walk the N.C./Tenn. border, and pop out on a collection of Anakeesta slate boulders dubbed Charlies’ Bunion in 1925 that have formed a cliff sitting in the middle of the GSMNP overlooking Porters Creek Valley. The cliffs actually weren’t there 100 years ago. A combination of logging, wildfires, and a massive storm exposed the rocks in the early part of the 20th century. Alum Cave Trail is so popular, its trailhead warrants two parking lots to accommodate overflow traffic on busy weekends. 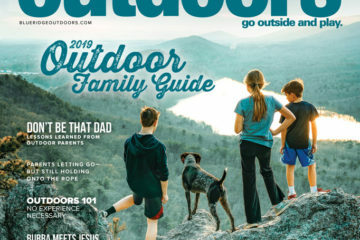 But even hiking this trail in peak Spring traffic is worthwhile as this is often considered the quintessential Great Smoky Mountains hiking experience. 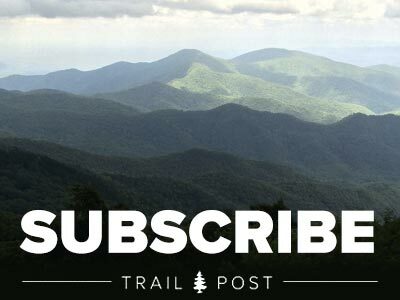 The trail starts off Newfound Road, between Newfound Gap and Gatlinburg, and climbs 2,763 feet in five miles to the summit of Mount LeConte, which stands prominently in the middle of the park at 6,593 feet. The first mile follows Alum Creek to Arch Rock, a stone bridge you actually walk through. It begins to feel more alpine as you hit one magnificent view after the other until reaching Alum Cave at mile 2.2. Alum isn’t so much of a cave as it is a massive, concave cliff perched on the side of the mountain with long range views. Most hikers make it to the cave and turn back, but the real fun starts as you continue the climb toward LeConte. As you progress, you’ll have to traverse a series of skinny rock ledges with sheer drops on the outer edge. Cables are bolted to the side of the cliffs on the inside of the trail–use them, especially in winter when ice gathers on the rock beneath your feet. In fact, unless you’re wearing crampons, we wouldn’t recommend traversing these ledges in winter. Not only is Old Rag Shenandoah’s most popular hike, it’s also one of the park’s most dangerous. 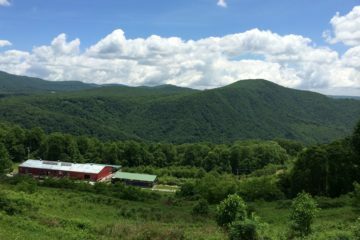 In 2009, there were 25 separate first aid assists and eight emergency evacuations from the mountain, most of which were performed by the Old Rag Mountain Stewards (ORMS), an all-volunteer group charged with patrolling the mountain during peak hiking seasons. ORMS is the only volunteer rescue organization of its kind in the country. Each fall and spring weekend, four or five volunteers staff the mountain acting as hosts, interpretive guides, and first response units. All 30 members are trained in climbing, first aid, search and rescue, and the group maintains a cache of rescue gear on the summit. You may have visited these popular falls in the summer, but winter provides a different perspective of these iconic landmarks altogether. Great Falls Park, Washington, D.C. The Potomac River falls all over itself as it enters the rugged Mather Gorge just outside of Washington, D.C. The collection of waterfalls is tumultuous and the crowds during summer can be as hectic. Come winter, only the hardiest hikers visit the falls. 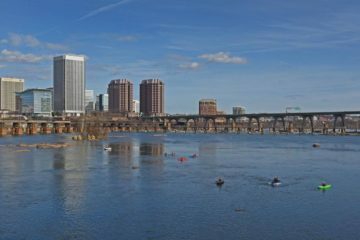 Follow the three-mile River Trail, which has the best views of the falls inside the 800-acre park. The dramatic 1,200-foot waterfall (actually a series of five cascades) gets plenty of attention from day hikers in warmer months, but few have seen this magnificent waterfall in the dead of winter when ice has taken over. 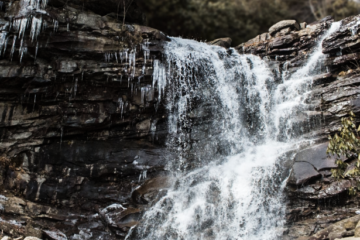 Tackle the switchbacks up Crabtree Falls Trail and if you time it right, you might even get to watch some of Virginia’s true hard-men–the handful of people who wait all year for the brief opportunity to ice climb Crabtree Falls. Pisgah National Forest, Brevard, N.C.
Hikers like this waterfall during the summer because you can easily walk between the falling water and the cliff without getting soaked. In the winter, icicles hang from the top of the cliff and a bizarre pyre of ice collects at the bottom of the low-volume falls. The colder the winter, the taller the pyre. It’s a .7-mile hike to the waterfall starting from the trailhead off Highway 276 near Looking Glass Falls. This 80-foot high waterfall on Mount LeConte inside the park is famous for the rainbow its mist creates during sunny days. During the winter, however, the waterfall has been known to form massive ice structures at the bottom and top of the cliff it spills over. Even the creek leading up to the falls tends to freeze during long cold spells. It’s a tough 5.4-mile round trip hike on Rainbow Falls Trail to the falls, made tougher by winter conditions. Wear crampons for frozen creek crossings.